Technology has changed our lives tremendously – in some ways for the better and in some ways for the worse. 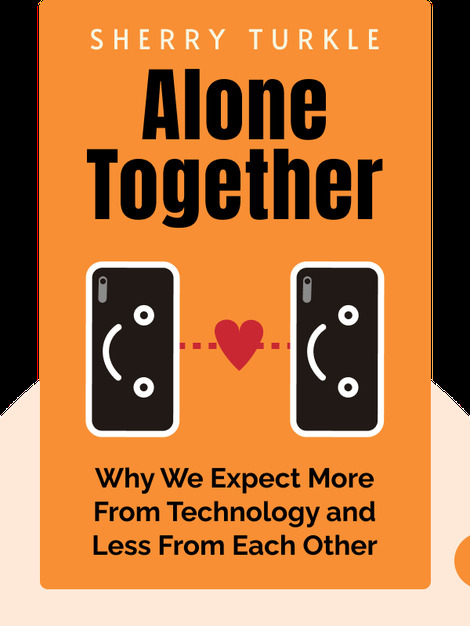 Alone Together explains how even though a great deal of new technology, like smartphones and social media, is supposed to bring us together, it actually makes us lonelier in the end. Sherry Turkle is a professor at the Massachusetts Institute of Technology (MIT). She's written several books on human-technology interaction, and she's also the founder and director of the MIT Initiative on Technology and Self.